﻿Love ﻿of beauty is taste. The creation of beauty is art. Welcome to Angels Hair and Beauty Salon! 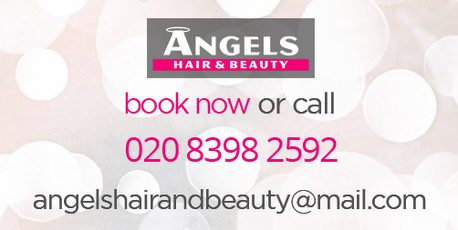 We offer high quality hairdressing services in the beautiful Thames Ditton area with a range of hair and beauty treatments. The key to our salon's success is customer satisfaction. We have a relaxed and friendly atmosphere where everyone is welcome to pop in and have a tea or coffee and discuss your hair and beauty treatments. Sit back relax and let us take care of you with many years experience in the industry. Our salon offers a comfortable and relaxing ambience with exceptional client care for your hairdressing and beauty needs. Your wish will be granted by our team of highly qualified professionals, combining skill and experience to create the perfect look for you.